A château is a manor house or residence of the lord of the manor or a country house of nobility or gentry, with or without fortifications, originally—and still most frequently—in French-speaking regions. Maine-et-Loire is a department of the Loire Valley in west-central France, in the Pays de la Loire region. The Loire Valley, spanning 280 kilometres (170 mi), is located in the middle stretch of the Loire River in central France, in both the administrative regions Pays de la Loire and Centre-Val de Loire. The area of the Loire Valley comprises about 800 square kilometres (310 sq mi). It is referred to as the Cradle of the French and the Garden of France due to the abundance of vineyards, fruit orchards, and artichoke, and asparagus fields, which line the banks of the river. 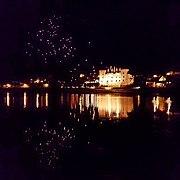 Notable for its historic towns, architecture, and wines, the valley has been inhabited since the Middle Palaeolithic period. 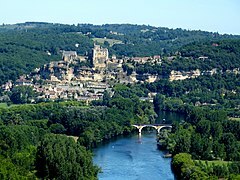 In 2000, UNESCO added the central part of the Loire River valley to its list of World Heritage Sites. The Château de Montsoreau is a Renaissance style castle in the Loire Valley, directly built in the Loire riverbed. 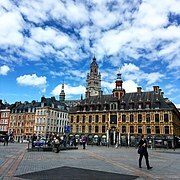 It is located in the small market town of Montsoreau, in the Maine-et-Loire département of France, close to Saumur, Chinon, Fontevraud-L'abbaye and Candes-Saint-Martin. 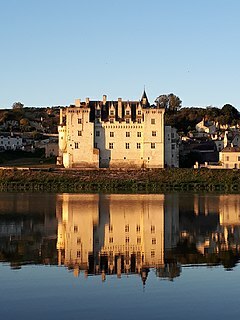 The Château de Montsoreau has an exceptional position at the confluence of two rivers, the Loire and the Vienne, and at the meeting point of three historic regions: Anjou, Poitou and Touraine. It is the only château of the Loire Valley to have been built directly in the Loire riverbed. Pays de la Loire is one of the 18 regions of France. 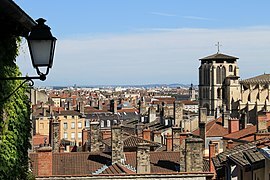 It is one of the regions created in the 1950s to serve as a zone of influence for its capital, Nantes, one of a handful of so-called "balancing metropolises" ¹.
Rhône-Alpes was an administrative region of France. Since 1 January 2016, it is part of the new region Auvergne-Rhône-Alpes. It is located on the eastern border of the country, towards the south. The region was named after the Rhône and the Alps mountain range. 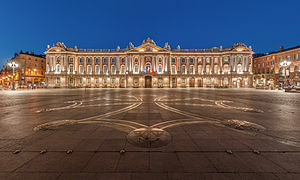 Its capital, Lyon, is the second-largest metropolitan area in France after Paris. Rhône-Alpes has the sixth-largest economy of any European region. The French Riviera is the Mediterranean coastline of the southeast corner of France. There is no official boundary, but it is usually considered to extend from Cassis or Toulon on the west to the France–Italy border in the east, where the Italian Riviera joins. 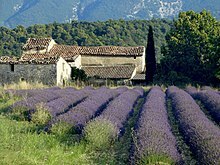 The coast is entirely within the Provence-Alpes-Côte d'Azur (PACA) region of France. The principality of Monaco is a semi-enclave within the region, surrounded on three sides by France and fronting the Mediterranean. Canada has a large domestic and foreign tourism industry. The second largest country in the world, Canada's incredible geographical variety is a significant tourist attractor. Much of the country's tourism is centred in the following (busiest) regions: Toronto, Montreal, Vancouver/Whistler, Niagara Falls, Vancouver Island, Calgary/Canadian Rockies, British Columbia's Okanagan Valley, and the national capital region Ottawa. 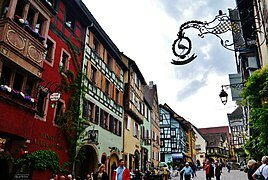 The large cities are known for their culture, diversity, as well as the many national parks and historic sites. 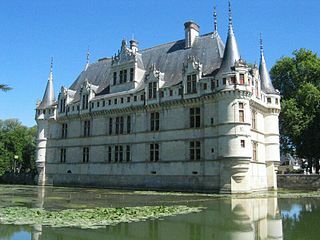 The Châteaux of the Loire Valley are part of the architectural heritage of the historic towns of Amboise, Angers, Blois, Chinon, Montsoreau, Nantes, Orléans, Saumur, and Tours along the Loire River in France. They illustrate Renaissance ideals of design in France. La Ciotat is a commune in the Bouches-du-Rhône department in the Provence-Alpes-Côte d'Azur region in southern France. 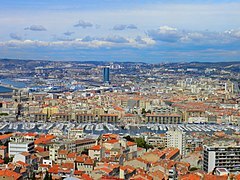 It is part of the Aix-Marseille-Provence Metropolis. 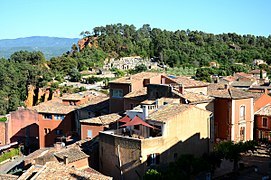 La Ciotat is located at about 25 km to the east of Marseille, at an equal distance from Marseille and Toulon. 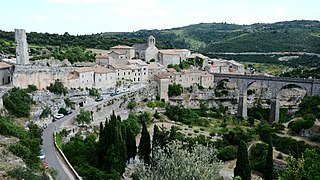 Its inhabitants are called "Ciotadens" or "Ciotadennes". Cassis is a commune situated east of Marseille in the department of Bouches-du-Rhône in the Provence-Alpes-Côte d'Azur region, whose coastline is known in English as the French Riviera, in Southern France. Montsoreau is a commune of the Loire Valley in the Maine-et-Loire department in western France on the Loire, 160 km (99 mi) from the Atlantic coast and 250 km (160 mi) from Paris. The village is listed among the most beautiful villages of France and part of the Loire Valley UNESCO World Heritage Site. Paris, the capital of France, has an annual 30 million foreign visitors, and so is one of the most visited cities in the world. Paris' sights include monuments and architecture, such as its Arc de Triomphe, Eiffel Tower and neo-classic Haussmannian boulevards and buildings as well as museums, operas and concert halls. There are also more modern attractions such as its suburban Disneyland Paris. 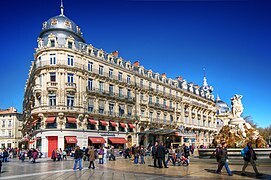 With its many monument, the city is a symbol of French culture, and since the 2000s attracts nearly three million visitors per year. Savigny-lès-Beaune is a commune in the Côte-d'Or department in eastern France. Tourism in Senegal is a vital part of the West African nation's economy. 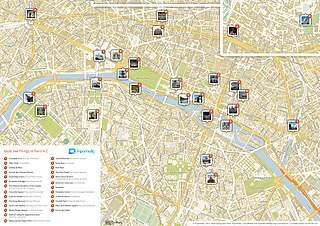 Tourism in Paris is a major income source. In 2018, 17.95 million tourists visited the city and her region. The top reasons to come are sightseeing and shopping. The city is the largest Airbnb market in the world. Top sights: Notre Dame, Disneyland Paris (11), Sacre Coeur (10), Versailles Palace (7.7), the Louvre Museum (6.9), the Eiffel Tower (5.9), Centre Pompidou (3.33), Musee d'Orsay (3). In the Paris region, the largest numbers of foreign tourists came in order from Britain, the United States, Germany, Italy, China and Canada. The Montsoreau Flea Market is the largest flea market in the Loire Valley, taking place all year the second Sunday of the month. Montsoreau is a small city named after the mount Soreau on which is built the famous château de Montsoreau, the only château of the Loire Valley to have been built in the Loire riverbed. 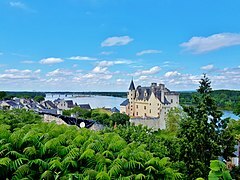 Montsoreau is listed among the most beautiful villages of France, and both the village and the château are part of the UNESCO listed world heritage site of the Loire valley. The Montsoreau Flea Market includes all year, a hundred professional merchants and is located in the vieux port district, on the banks of the Loire river.